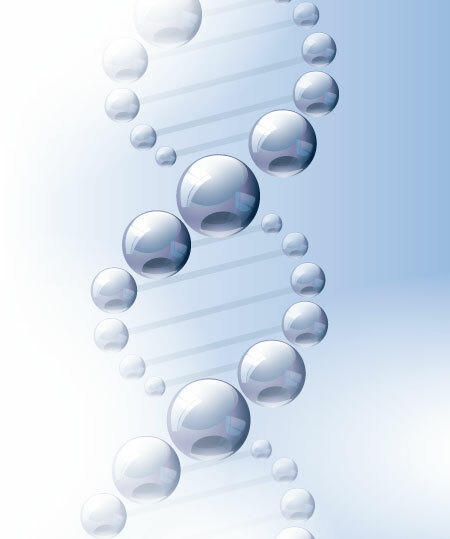 It is called SVF to the product that is obtained from a sample of biological tissue and that shows a cellular fraction of different heterogenous cell types and isolated for immediate use. The SVF is the portion remaining in the pellet after proceeding to the isolation of the stromal cells by means of an enzymatic digestion and the separation of other components such as the hemic and adipose contents. It is a crude and heterogenous mixture of multiple cell populations with different degrees of maturation and cellular function. Depending on the processing method of biological tissue, the composition of the SVF can vary significantly. To this is added that there are different terminologies to denominate the cells coming from these fractions, reason why can be found diverse studies and data in which the quantities and percentages vary from one to another. The use of SVF produces important biological responses in the organism and favors a series of cellular processes and actions. There is a constant production and release of cytokines and growth factors by the cells contained in the SVF and by the cells affected by the infiltration of the SVF. Cytokines are low molecular weight proteins essential for intercellular communication (which also carry out neurotransmitters and hormones) and are produced and released by several cell types. They control quite critical biological and physiological functions such as tissue repair, cell differentiation and maturation, inflammation and immune response, both local and systemic, apoptosis, etc. Generalizing the effects of all these protein components is impossible, even so, according to their functions are classified into autocrine, paracrine and endocrine. Cytokines are characterized by their redundancy: many of them share similar functions. In addition, they are pleiotropic: they act on many different cell types and a cell can express receptors for more than one cytokine. Antibody-binding cytokines have a stronger immune effect than do single ones. 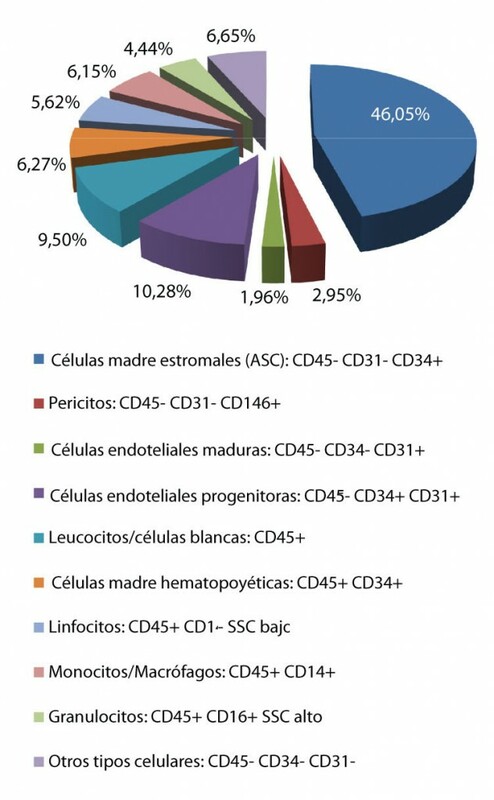 The SVF has a significant percentage of cells that generate antibodies such as lymphocytes. For all this, it favors and promotes the action and response by the immune system, through specific and non-specific actions. Both necessary to carry out the correct regeneration and to restore the biological balance. The growth factors that are released in the SVF, and as a cellular response to the infiltration of the same, is constant and in quantities and concentrations greater than those that can be obtained by means of techniques for obtaining platelets from the bloodstream, either Through PRP kits or through a complete inventory process. In summary, the consequences are an increase in angiogenesis in the area, a decrease in inflammation, a chemotactic signal and anti-cellular apoptosis (not only in the treated area), a beneficial Remodeling of the extracellular matrix, activation of all existing cells at rest and a cellular trophic effect.